Three Samsung SSDs—one internal, two external—that earned high marks from us are on sale for cheap at Amazon. A good SSD can’t be beat, and even the worst SSDs are better than the best mechanical hard drives. Today, three of the best solid-state drives we’ve ever tested are on sale on Amazon at steep discounts. If you’re looking for a PC upgrade, Samsung’s 500GB 860 EVO is $73, down from a list price of $110. And if you’re looking for speedy portable storage that you can take with you, you’ve got options! The blistering 500GB Samsung X5 is $300, down from a list price of $400, and the Samsung T5 has two sizes on sale, with the 250GB version discounted to $80 from a $130 list price and the 500GB version discounted to $98 from $130. The Samsung 860 EVO’s standard 2.5-inch form factor should slip into most PCs or laptops, and this SSD is fast – it’s one of the fastest TLC SATA SSDs we’ve ever tested. We also found it to have consistently stellar performance across the board. We gave it 4 stars out of 5 for its speed, performance, and low price even before this discount. It’s also our pick as the best SSD for most people. The Samsung X5 is a trailblazing external SSD, with a sleek design and the fastest possible portable storage for Thunderbolt 3-equipped PCs. This is the drive that multimedia pros want. We gave it 4.5 stars and an Editors’ Choice award. Before the X5 appeared, we crowned the Samsung T5 as one of the best high-performance external SSDs, and it’s still a highly compelling option—especially at this price. It’s both extremely fast and extremely small, so taking it along wherever you go is a breeze. We gave it 4.5 stars out of 5 for its strong performance and compact size, and our in-house SSD guru relied on the drive for his own work. 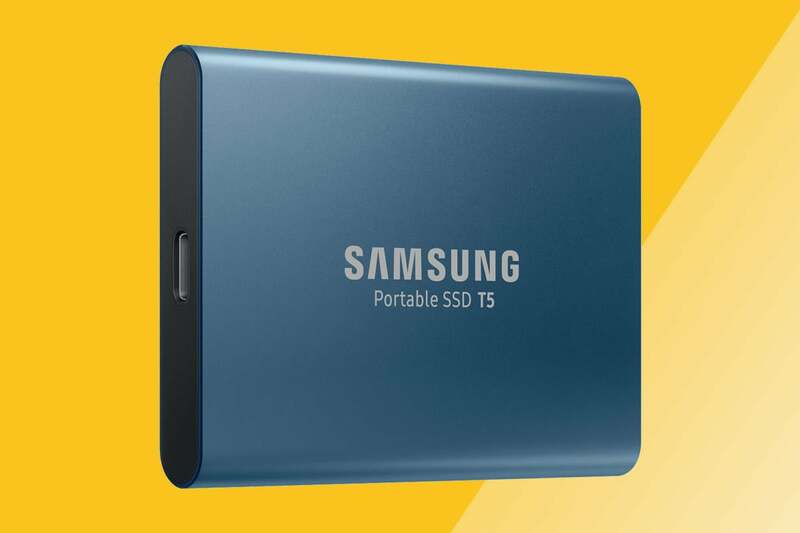 This story, "Three of our favorite ultra-fast Samsung SSDs are on sale for cheap—and two are portable" was originally published by PCWorld.